Try a delicious plum flavoured twist on a popular mid-week dinner favourite. 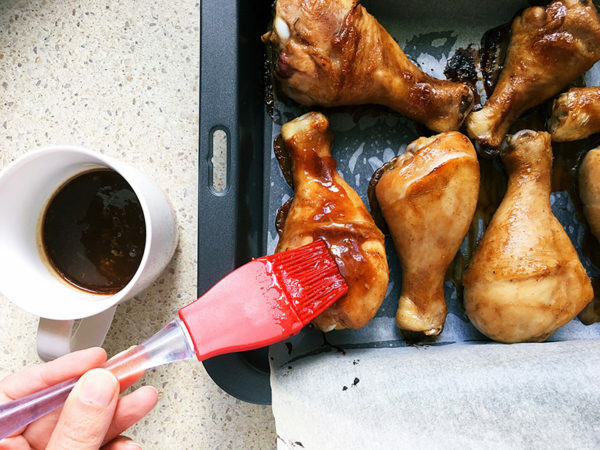 Sweet, plum covered chicken drumsticks – the kids will agree, they’re finger licking good! Serve with steamed greens and rice, this makes a delicious midweek dinner. Team it with tasty fried rice, I’m pretty sure my own kids would place it in their top five meals on the dinner rotation. 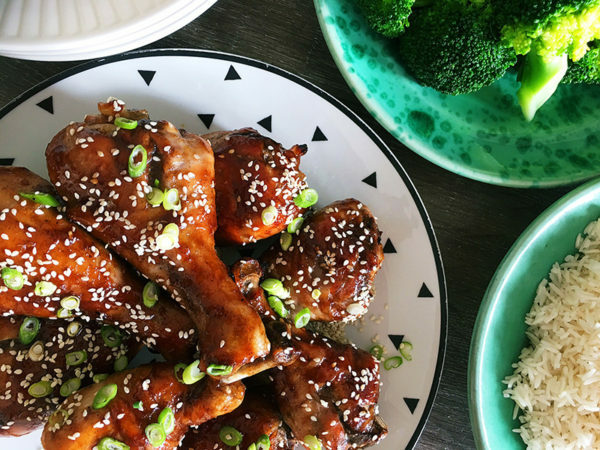 To make the marinade, combine the plum sauce, brown sugar, tamari, hoisin, garlic, ginger and Chinese Five Spice powder together in a bowl. 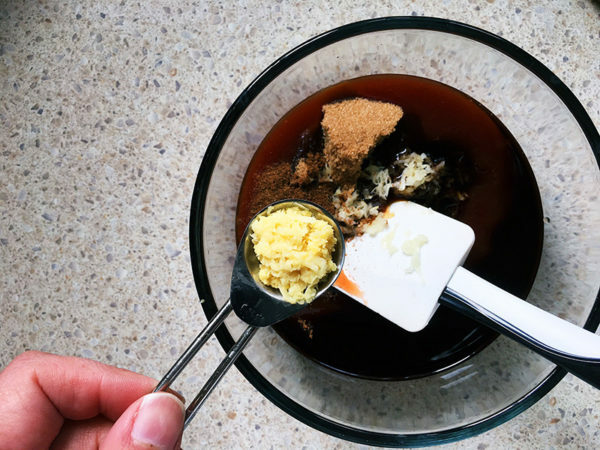 Reserve half a cup of marinade and set aside. 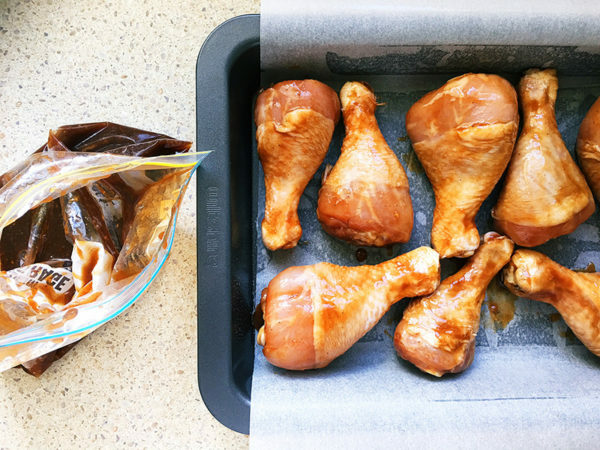 Place the chicken drumsticks in a zip lock bag and add the marinade. 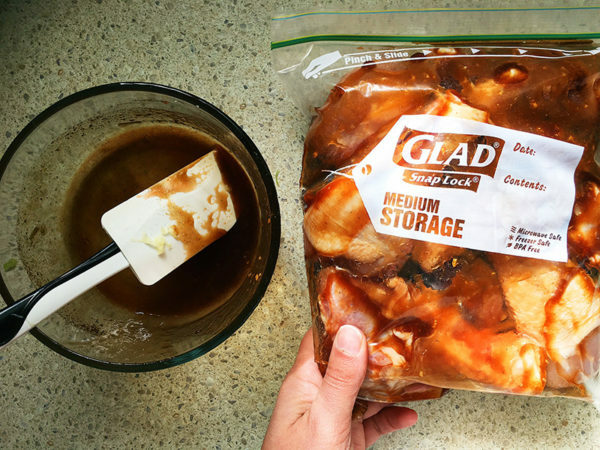 Seal the bag and push the marinade around the bag. Let it sit in the fridge for an hour. Preheat the oven to 180°C. 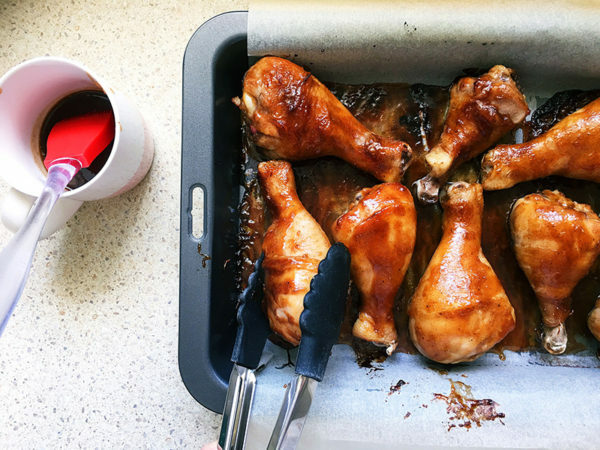 Line a tray with baking paper. 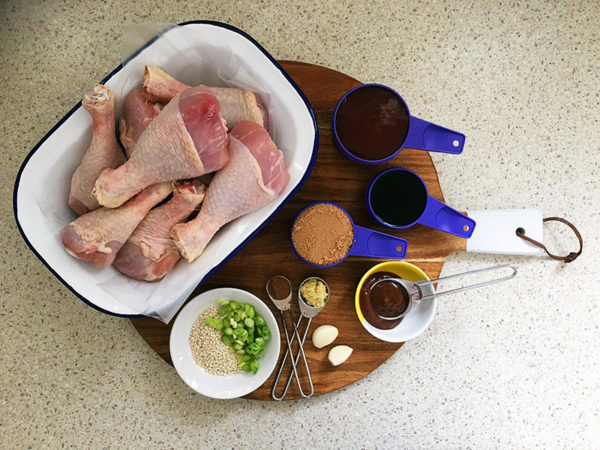 Place the chicken in the tray, shaking off excess marinade. Bake for 20 minutes. Remove the chicken from the oven and baste generously with reserved marinade. Bake for another 10 minutes. Remove the chicken from the oven. Turn the chicken and baste again using reserved marinade and marinade in the tray. Bake for a further 10 minutes. Remove the chicken from the oven and baste again (third time! ), bake for a further 10 minutes. When cooking time is complete, remove the chicken from the tray. 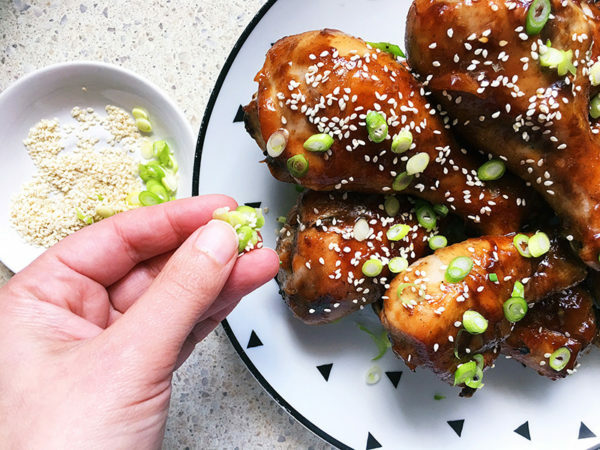 Scrape the marinade in the tray onto the chicken and sprinkle with sesame seeds and spring onion if using. Delicious!